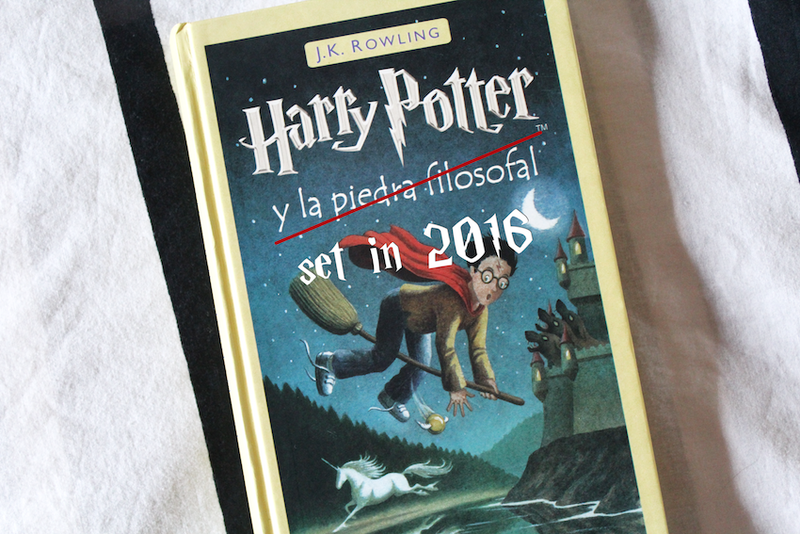 IF HARRY POTTER HAD BEEN SET IN 2016... | RAWR BOWS. At the beginning of this month, on September 1st at 11AM, I made my way to Kings Cross in London - a beautiful and crowded train station located in the heart of this wonderful city. I am rarely late, specially if it’s an important event but that morning my hair was a mess so it took me more time than usual to fix it. I rushed into the train station, trying not to bump into any lost tourists, and checked the screens to see what platform my train was departing from. ‘Hogwarts Express. Platform nine and three quarters’ read the digital board. Most people would have had to read the platform number twice. Nine and three quarters? What was that? However, it was London: they drive on the left, they decide to leave the EU, they charge you £5 for a tube journey and £15 for a cocktail! I had seen much weirder things than that platform number. I quickly walked to Platform 9. Platform nine and three quarters was nowhere to be found but, if my maths were correct, the number was in-between 9 and 10. Following my logic, I walked up to the old brick wall that was in-between those two platforms and decisively walked into the wall with all my luggage. Ah! there it was - the Hogwarts Express. Despite my null sense of orientation, I had found it and it was still 10:45 so I had enough time to calmly find my wagon and an empty seat. I found a spot near a girl who looked a bit like a freak. She had massive curly frizzy hair, pimples on her cheeks and was reading a book about the history of our school. What a weirdo, who cares about the history of a school. I wasn’t too bothered by her, though. According to the signs all across the train, there was free wifi aboard so I had my entertainment sorted out for the next few hours. At 11:00AM on the dot, the engines came alive and the train slowly left London to take hundreds of students to their new school year in one of what appeared to be the coolest (and weirdest) school on Earth. The Hogwarts School of Witchcraft and Wizardry. As we approached the school, everyone changed into their uniforms. Including me. It wasn’t too flattering, but it looked okay and at least I got to wear my own jewellery. I had recently moved to the UK, so it was my first time attending Hogwarts and so I hadn't been sorted into a house yet. According to what I had heard in the train, Gryffindor were the cool ones. Unfortunately, though, their colours were yellow and red and those didn’t really flatter my skin tone. Blue was better for me, so hopefully I would be Ravenclaw. When we arrived, I followed everyone out the train and to the school building. It looked so cool, like a castle or a palace. It probably looked a bit creepy when it was dark, but under the sunshine and the clear blue sky it looked beautiful. The first thing we did when we arrived was go to the so called Great Hall where a very old talking hat would tell us which house we belonged to. A very serious looking old lady called our names in alphabetical order. When I sat on that chair and put the hat on, I couldn’t help but get my phone out to Snapchat that moment. It would make a lit Snapchat story, all those muggles would die of jealousy. In that moment I knew, my Instagram for the next months would be to die for.